19's Toy - Biggest Ling so far in 2015! Biggest Ling so far in 2015! The fishing out of Westport, WA has been fantastic. 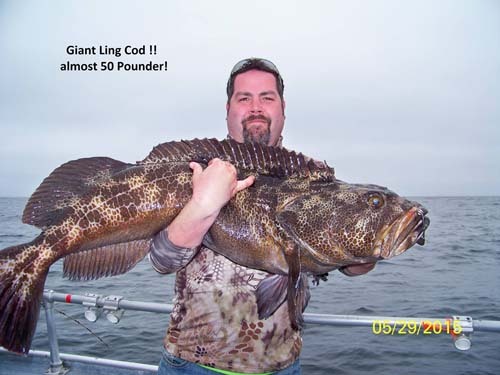 On May 29, 2015 Justin caught the biggest lingcod of the year (so far). Congratulations on the 48 pounder! If you would like to go fishing at Westport Charters please give them a call at (360) 268-0900.